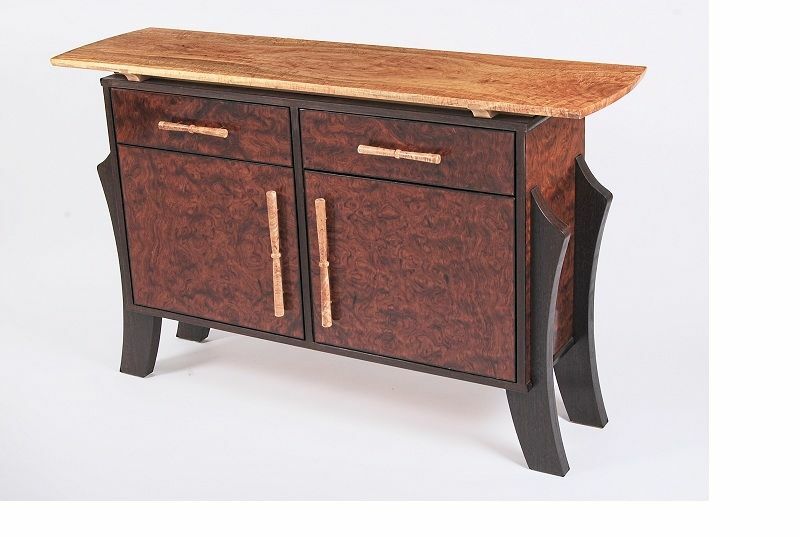 This unique sideboard celebrates beautiful wood grain and offers a lot of storage. The top is made from a single piece of very highly figured silver maple and was brought to a high build gloss finish. The cabinet doors, drawers and sides are made from quilted bubinga. The saber legs are wenge. The handles were turned from the same wood as the top, bringing that beautiful wood to the front face and helping cement the design.